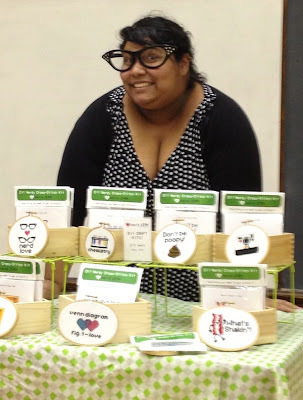 Steph Cortes with her fantastic 'nerdy' crossstitch - Venn diagrams anyone? Last week I attended a fantastic Etsy workshop with Steph Cortes of nerd JERK entitled "Balls Out Branding". I'd dithered 'til the last moment, whether or not I'd sign up. I am so glad I did. It was a small workshop - just six of us, and Steph was a total riot. I came away with two key points, presented in entirely new ways. The first is the title of this post - "Why Make This?" Steph pushed us to explore why, out of all the myriad things we could be doing, we are drawn to our particular art/craft forms. And to tell the story of our work. Sounds so easy and in theory it can be so very hard. 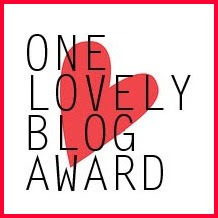 Blogging's one thing - here it's really all about story. But as soon as I head to my Etsy store to write listings, I start thinking about key words and how will people find me and what details about the product do they need to know. All the dry, completely necessary, but often boring things. It's easier in person, where you can sort of hash through ideas. I realized that conversation is in many ways like a first draft. In most conversational instances, your words aren't expected to be picture perfect. Instead, if you're like me, you sort of feel your way towards where you want to go. So, Saturday morning found me sitting at the computer, looking at my Etsy listings and thinking about how I can add to them. Except, great procrastinator that I am, I decided to go out hunting for other artists with story telling abilities and see how they did it. A reconnaissance mission! 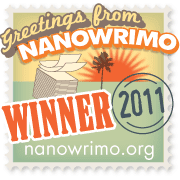 As I searched and searched for stories, I became more and more open to what that could mean. 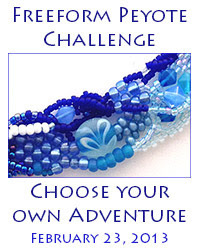 With two of the items in my treasury, their photography tells the story. Emma Sommerfeld's collection of photographs for her Cherry Red Scarf is a study in simplicity and contrast. Her model, a cross between Snow White and Little Red Riding Hood, wears a dark dress and stands in a winter forest. All of the colors are shades of black, white or neutrals except for the scarf and the red lipstick. 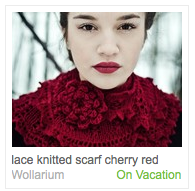 I absolutely cannot wear that color of red, yet she makes me want to buy this scarf because it's so beautiful and romantic. Her shop's on vacation right now, but the links above should still work. On first glance, I thought that CamilleDesigns made crocheted doilies, reminding me of my grandmother Lela as she used doilies extensively in her decorating and I inherited many of them. So of course I had to check it out. 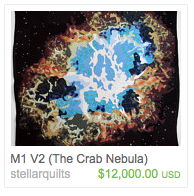 I discovered - she makes rugs! Somehow I'd managed to miss the two bare feet at the bottom of the photo. What a wonderfully clever way of showing the scale and immediately letting people know what they're looking at! Here, it was simply the title. 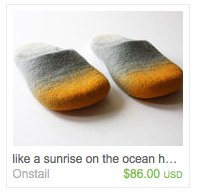 Where most of the listings from my search started with "Felted Slippers" or more detailed, "Felted Wool Slippers". Here we have "like a sunrise on the ocean" - almost a little haiku. Or the title of a painting. I could wear a bit of vacation and art every single morning if I bought these! Search engine optimization recommends including your search terms early, early in your listings. But what if every once in a while I let poetry take precedence instead? 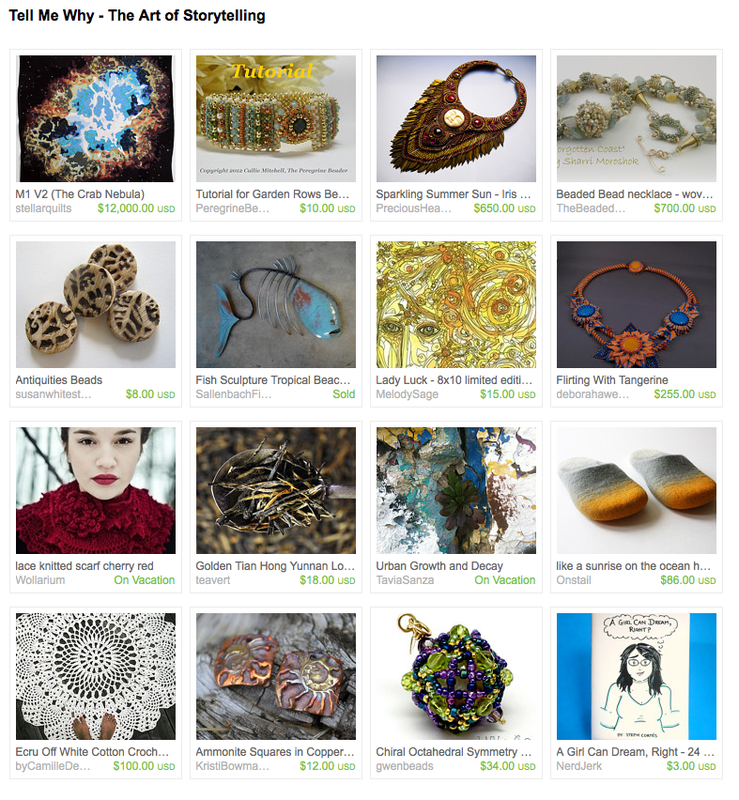 With others, threads of story ran through multiple aspects of their Etsy presence. 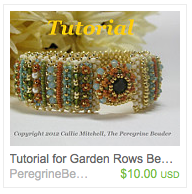 Callie Mitchell's beaded bracelet tutorial, Garden Rows, is beautiful in it's own right. 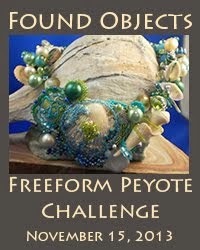 The story of her inspiration for the piece made it even richer (told in one short paragraph). Her artist bio continued her story as well; far more engaging than a dry recitation of dates and awards. Don't want to bore you, so just two more call outs. 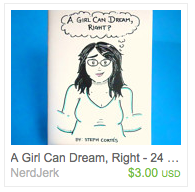 Since she inspired this treasury, I wanted to include one of Steph's pieces and her comic, A Girl Can Dream, Right? was a perfect fit. I love how her listing starts with the story of the comic's origins, segues to the comic itself, then back to it's creation. All in three short paragraphs. Nice. I caught her at Geek Girl Con and made her sign a copy for me. She even drew a little self-portrait! And then the pièce de résistance. If you only look at one listing, you have to check this one out simply because it's absolutely over the top. Be sure to take a look at Jimmy McBride's artist profile - that's where it all comes together. His entire Etsy experience is internally consistent, even if it doesn't quite match the world as you and I know it. And like an extra scene after the credits at the movies, here's Steph's signature and self-portrait. These are amazing stories, Karen; I'm still far from that stage, but it's never too early to start talking to myself LOL. 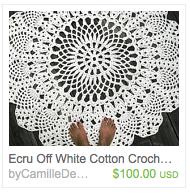 I will tell you, I used to crochet doilies in my "youth" (back when I could still SEE), and that "doily" rug makes me want to rush out and buy yarn! It is totally awesome how the photograph tells the story. Excellent information here, Karen -- thank you for compiling these wonderful ETSY artists and sharing their story examples with us. 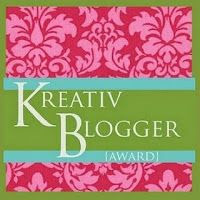 I desperately need to revamp my ETSY site and you've given me some well-needed inspiration! Thanks! 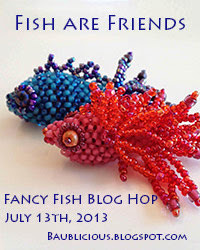 I'd hoped it would be a fun post, whether or not you had an Etsy post. I know I enjoyed my 'treasure hunt'. And for friends with Etsy stores, I hoped it might be useful. Sharing ideas. If you have any favorite examples, I'd love to see them!